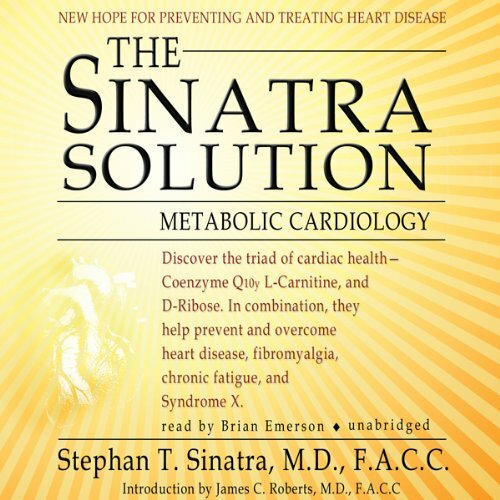 Board-certified cardiologist Dr. Stephen T. Sinatra discusses the importance of energy metabolism on cardiovascular health and the positive impact these three energy-supplying nutrients have on the cardiovascular system. He guides you through the basics of energy metabolism and cardiac bioenergetics, and clearly explains the role of coenzyme Q10, L-carnitine, and D-ribose in the body and specifically how they affect your heart health. He also provides concise and informative examples of case histories and scientific studies that are testament to the important contribution the supplemental use of these energy-supplying nutrients make in the lives of people with heart disease every day.